Jucar Raquepo did a residency in North Bay, ON last spring. 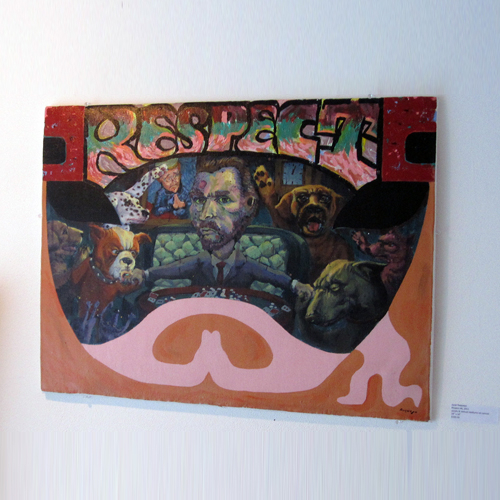 When he left he donated Respect #5 to the White Water Gallery for sale in the 2013 Black Water Art exhibition. Jucar has generously donated all proceeds from the sale of this work to the Gallery.